Iceland is situated at the confluence of the North Atlantic and Arctic Oceans. The country is warmed by the Gulf Stream and has a temperate climate despite its high latitude just south of the Arctic Circle. The population of about 320,000 and the total area is 103.000 km2, which makes it the most sparsely populated country in Europe. The capital and largest city is Reykjavík. 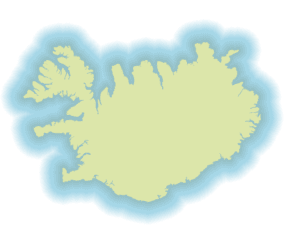 Two-thirds of the country’s population live in Reykjavik and the surrounding south western region. The interior of Iceland high plateau characterized by sand and lava fields, mountains and ice caps and is uninhabited. Iceland is the biggest volcanic island of the world. The Arctic Circle passes through the small island of Grímsey off the main island’s northern coast. Iceland is still volcanically active  as the eruption of the Eyafjallajökull spectacularly demonstrated 2010. 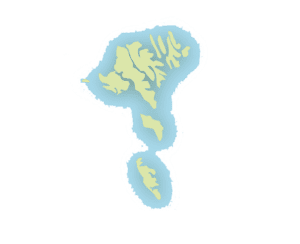 There are thirty small islands scattered around the coast, including the lightly populated Grímsey and the Vestmannaeyjar archipelago. Lakes and glaciers cover 14.3% of its surface; only 23% is vegetated. 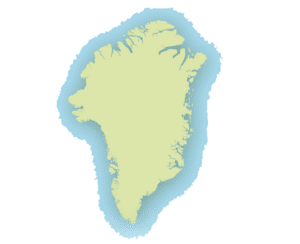 Although Iceland is closest to Greenland (North America), it is closer to continental Europe than to mainland North America, because it is generally included in Europe for historical, political, cultural, and practical reasons. Geologically, Iceland marks the boundary between the Eurasian and North American Plates. So Iceland is still growing because of the spreading of this both plates. The 20082012 Icelandic financial crisis was a major economic and political crisis in Iceland that involved the collapse of all three of the country’s major commercial banks following their difficulties in refinancing their short-term debt and a run on deposits in the Netherlands and the United Kingdom. Relative to the size of its economy, Icelands banking collapse is the largest suffered by any country in economic history. But by mid-2012 Iceland is regarded as one of Europe’s recovery success stories. It has had two years of economic growth. Unemployment is down to 6.3% and Iceland is attracting immigrants to fill jobs. Currency devaluation has effectively reduced wages by 50% making exports more competitive and imports more expensive. Ten year government bonds are issued below 6%, lower than some of the PIIGS nations in the EU. Since summer 2010 Iceland is EU-candidate country.